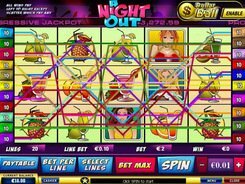 A Night Out video slot with 5 reels and 20 paylines aboard invites you to a great night party. Nice partying girls and cocktail fruits appear on the reels as symbols of the slot. The coin value is adjusted from 1 cent to $2. 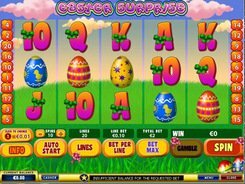 You can choose to bet up to 10 coins per win line, so the maximum stake on each spin is 400 dollars. The Pint of Beer is the wild symbol in A Night Out that grants great benefits to a gamer transforming into other symbols, except for scatters. Five Pints of Beer payout a jackpot reward of 10,000 coins. The scatter, a Woman on Dance Floor, brings you a total bet multiplied by x5, x10 or x50 (for 3, 4 or 5 scatter symbols). 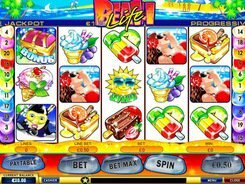 The Bartender, a bonus symbol, on the first and fifth reels starts the Bonus game where you can choose your win multiplier and receive free spins. Choose one girl out of six appeared on the screen. You will be awarded free spins based on the number that appears with the girl you have selected. Playtech offers great jackpot opportunities, and A Night Out is no exception. 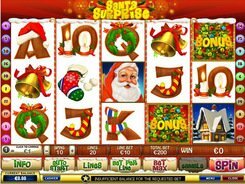 The video slot features a lotto type side game with an amazing progressive jackpot award! Click Enable button in the upper-right corner, pay $1 to start the Dollar Ball feature and pick five numbers out of 49. If all the drawn numbers match, you win the jackpot. PLAY FOR REAL MONEY!